Do we as pediatricians pay enough attention to the car safety of our patients? And are their parents really concerned? Or do we just dismiss the entire problem by asking "Do you use a car seat for your toddler?" and be satisfied with the answer? What can be better than Arizona in April!? 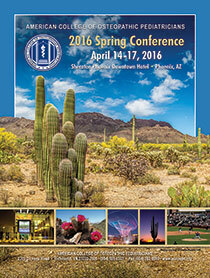 Join ACOP in sunny Phoenix for top-notch pediatric education, friends and fun! The agenda is jam packed with unique topics, general pediatric updates and care of the pediatric patient at home, on the field and in the community. In early 2015, an outbreak of Zika virus was identified in northeast Brazil. Zika virus is transmitted primarily by Aedes aegypti mosquitoes. Aedes albopictus mosquitoes might also transmit the virus. Both mosquitoes are found throughout much of the Americas, including parts of the United States, and also transmit dengue and chikungunya viruses. Please see map of highlighted affected areas. It will be a busy but hopefully successful year for all DO pediatricians due to the outstanding growth of our profession. According to the 2015 Osteopathic Medical Profession Report, the number of DOs in the United States stands at nearly 97,000, which is a 25% growth every five years since 1985. I outlined in the spring PULSE what needs to be done; so in this issue, I will address our progress. Zika virus, the latest tropical Flavivirus to cause an outbreak in the Americas, is associated with a 20-fold increase in microcephaly in Brazilian newborns and a ten-twenty fold increase in Guillen-Barrie Syndrome. The CDC, and its European counterpart ECDC, have issued strong travel warnings targeting pregnant women and children. The Brazilian military has been mobilized to eradicate the Aedes Mosquito. The Osteopathic Continuous Certification (OCC) process can be confusing. 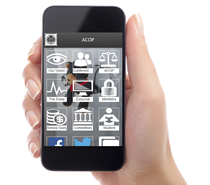 The AOBP hopes this will provide clarity and will be helpful as diplomates navigate the OCC process. There are some matters in the field of medicine not often brought up for discussion. Sometimes, it is because some subjects are too “emotional” or “uncomfortable.” Child abuse is one of those topics. PULSE is now available on your smartphone and tablet!